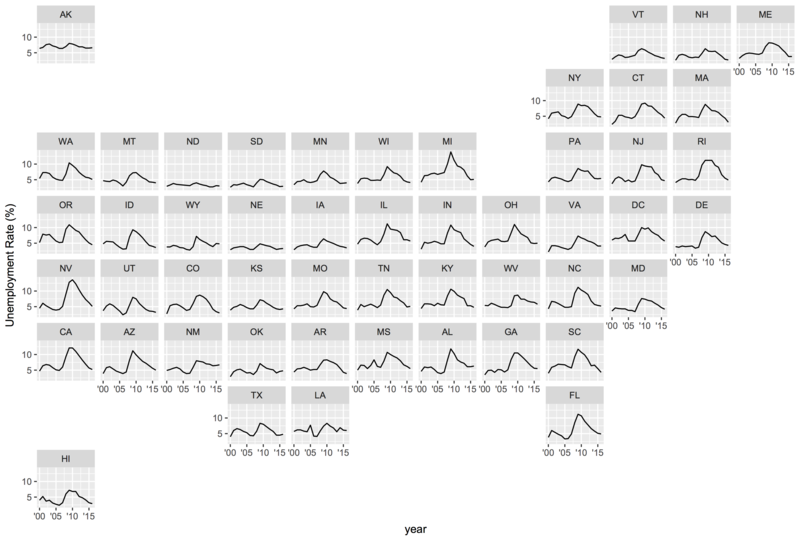 Provides geofaceting functionality for 'ggplot2'. 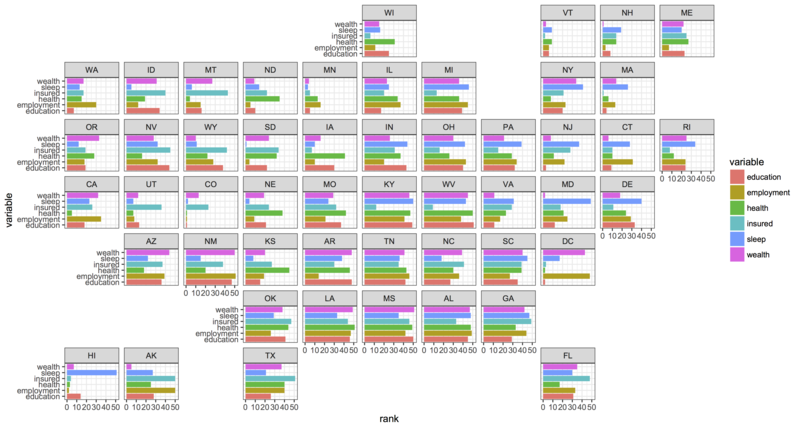 Geofaceting arranges a sequence of plots of data for different geographical entities into a grid that preserves some of the geographical orientation. 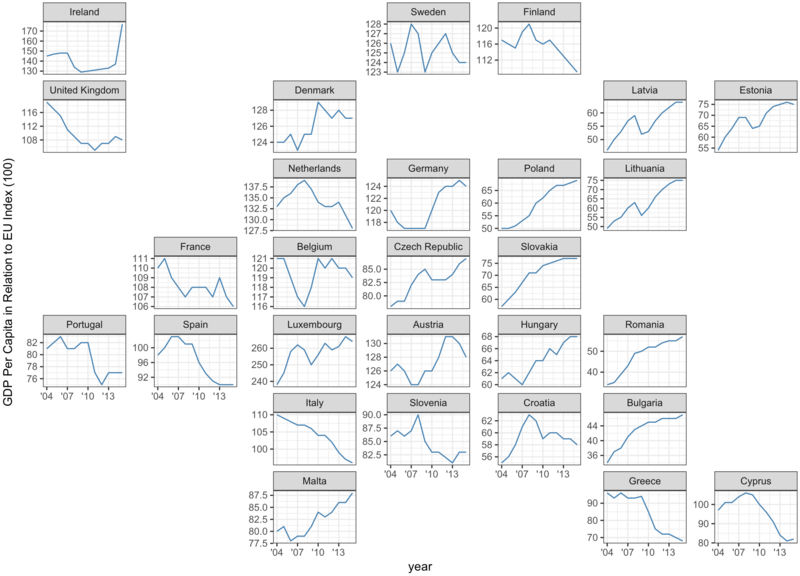 This R package provides geofaceting functionality for ggplot2. Geofaceting arranges a sequence of plots of data for different geographical entities into a grid that strives to preserve some of the original geographical orientation of the entities. It's easiest to describe with examples. See below.